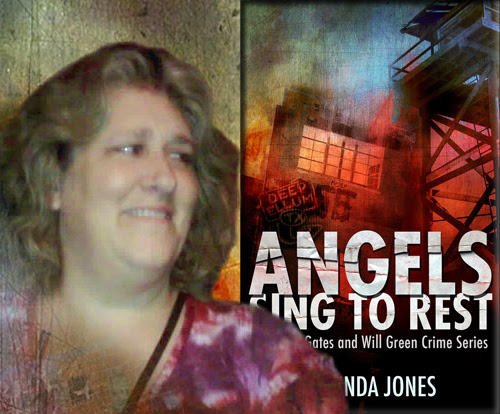 Today we have the pleasure of meeting up with author Chrinda Jones to talk about Angels Sing to Rest (9 September 2015, Wing and a Prayer Publishing, 206 pages) a Crime novel, book two of The Olivia Gates and Will Green Crime Series. A big welcome to Chrinda Jones, thank you for joining us on BooksChatter. What was the inspiration for Angels Sing to Rest? 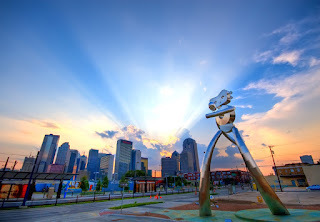 "Angels Sing to Rest (book two in my Olivia Gates and Will Green crime series) was inspired by a walk I took through downtown Dallas a few years ago. As I stepped off the train, I was struck by how many teens were living rough on the street. And as I passed groups of them gathered against buildings and in the parks, it was clear that drug sales were booming. I filed away my observations and then used them later to create the story line for book two. When I write my crime series, I try to use something true to build the main story line around." The first thing that draws me to a book is its cover. Can you tell us about your cover for Angels Sing to Rest - why you chose that concept and who the artist is. "I'm glad you asked that question, because it took me quite a while to come up with the theme to the covers of my series. With the help of a graphic artist, who is equally adept at photography, we came up with the idea of photographing old buildings from the art and music community of Deep Ellum, in South Dallas. April Gann (who is that talented graphic artist and photographer I spoke of earlier) ran with adding the graphics and came up with the series covers and the very interesting font for the titles. While at festivals and conferences, people constantly comment on April's cover designs and then ask for her contact information. I cannot stress enough how important it is to use a graphic artist when designing a book cover. Their expertise translates into book sales. I have no regrets over paying for cover designs." Can you tell us something quirky about Angels Sing to Rest, its story and characters? "Something quirky about the book . . . well the male protagonist in the book series is from the United Kingdom, Newcastle upon Tyne to be exact. Not many American crime novels have a character from England as one of its main protagonists. He also has an interesting name. I suppose the interesting thing about his name is not really the name itself, (though it is interesting) but how he came by it. Williamson McKernan Green is his full name. It turns out that in the North East of England there is a tradition in the Geordie culture where a first born son's name will usually be the last name of the maternal grandmother. Hence Will's name being Williamson." Who would you recommend Angels Sing to Rest to and what should readers be aware of (any warnings or disclaimers)? "Good question. I think anyone who enjoys crime novels with forensic and psychological description and contain just a very smidge of romance, will enjoy Angels Sing to Rest. If you're asking about age appropriateness, I think anyone fifteen or over is the demographic it was written for. I can't think of any disclaimer to place on the book. It is a bit gritty, but there's no extended, in-depth focus on the gore of the crime scenes." "I'm not sure if I have a writing process, but if I did, I would have to say it's part “fly-the-seat-of-my-pants” and part minimal outlining. I try to stay away from too much outlining because it makes me feel quite restricted as I put the story together. I like to see the character lead a bit when the story is coming together, especially if I can't decide which direction to take the story next." 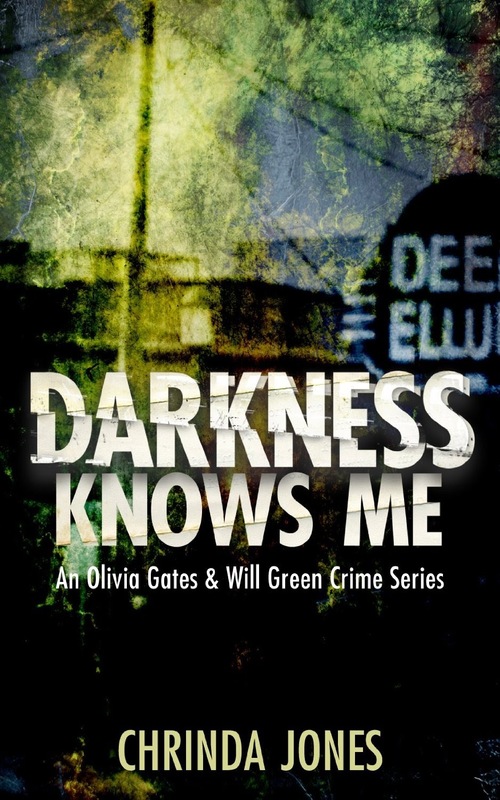 "Currently I'm writing book three of my Olivia Gates and Will Green crime series of which Angels Sing to Rest is the second installment. I've tentatively called book three Only the Dead Know, and it takes us from Dallas, Texas to Newcastle upon Tyne, England. We'll find Will back at his old constabulary (precinct) dealing with a case that sent him to the brink of madness, before Olivia Gates managed to pull him away from the edge." Thank you very much again for being with us today. I look forward to reading Angels Sing to Rest later this month! "Thanks so much for the interview. I had a great time and I look forward to reading up on the next books you promote. Cheers!" Angels Sing to Rest - available NOW! It's always a treat to get the story behind the story! This is a terrific interview and thanks for introducing us to the author and her new mystery. Thank you, Bookchatter, for so graciously hosting my interview and allowing me to offer my book to your readers. You are the Best!